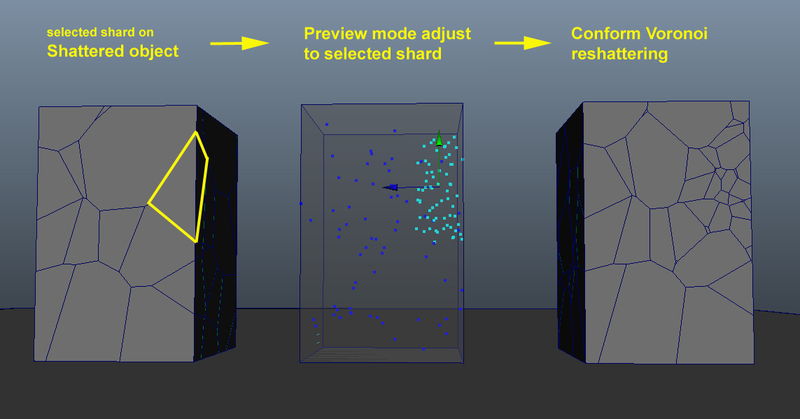 Uniform\Local\Radial shatter pattern auto-adjust to selected shards region only, making reshatering more user-friendly while keeping the nice Conform Voronoi reshattering introduced in v 3.0, besides Uniform shatter pattern can be offsetted/squeezed, very handy option when user is interested in destroying only part of a model. Fracturing hi-poly meshes dynamically can be time consuming, user can now force convex shapes on fracture bodies creation to speed up computations of fracture, or to make faster destruction previews. Transition animation-dynamics is one of the most powerful features of PDI, in this update we extend it so user can animate a group of fragments with motion keys and set it to start in dynamics after being hit or at a desired frame. 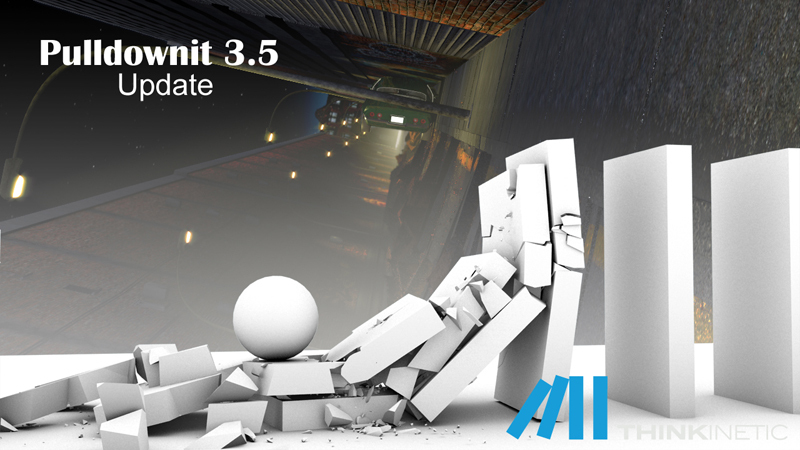 There are also other improvements and fixes specific for 3d Max or Maya plugins, here the full list. Congruent vertex normals after shattering.